How Big Was Noah’s Ark? God gave Noah the dimensions for the ark in cubits. “And this is how you shall make it: the length of the ark shall be 300 cubits, its width 50 cubits, and its height 30 cubits” (Genesis 6:15). 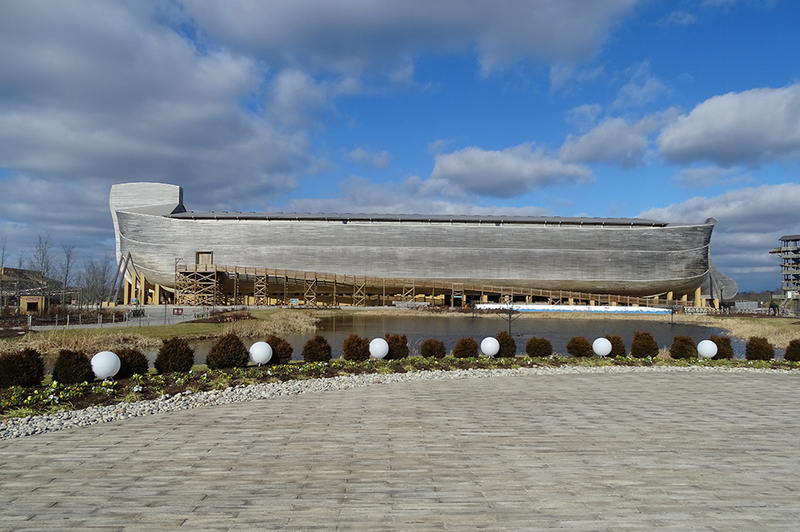 When you visit the Ark Encounter, you will see for yourself just how big Noah’s ark was. To help you prepare for your trip, we’ve compiled a list of common questions related to the size of the ark. How Long Was the Ark? At approximately 510 feet long (assuming a 20.4 inch cubit), it would take nearly one and a half football fields, including end zones, to equal the ark’s length. That’s big enough that NASA could lay three space shuttles—nose to tail—on the ark’s roof! How Tall Was the Ark? The roof of Noah’s ark was more than 50 feet from the ground—higher than a modern four-story house. That’s plenty of space for three extra-tall inner decks as the Bible describes. How Much Space Was in the Ark? The ark had the same storage capacity as about 450 standard semi-trailers. A standard livestock trailer holds about 250 sheep, so the ark had the capacity to hold at least 120,000 sheep. Was It the Biggest Wooden Ship Ever? 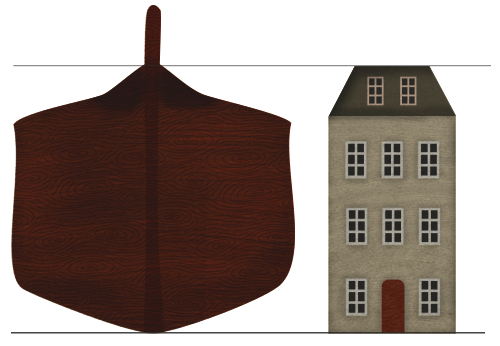 Few wooden ships have ever come close to the size of Noah’s ark. One possible challenger is the Chinese treasure ships of Zheng He in the 1400s. An older contender is the ancient Greek trireme Tessaronteres. Large wooden ships face several challenges to remain afloat, but these can be met with proper planning and knowhow. Start planning your trip to the Ark Encounter today, and see our life-size Noah’s Ark in person! Share your favorite photos with us on Facebook, Instagram, and Twitter using #arkencounter, and you might see your picture featured in a future blog. All hours are Eastern Time. Last entry 1 1/2 hours before closing. Just west of the intersection of KY-36 and I-75 (at exit 154).